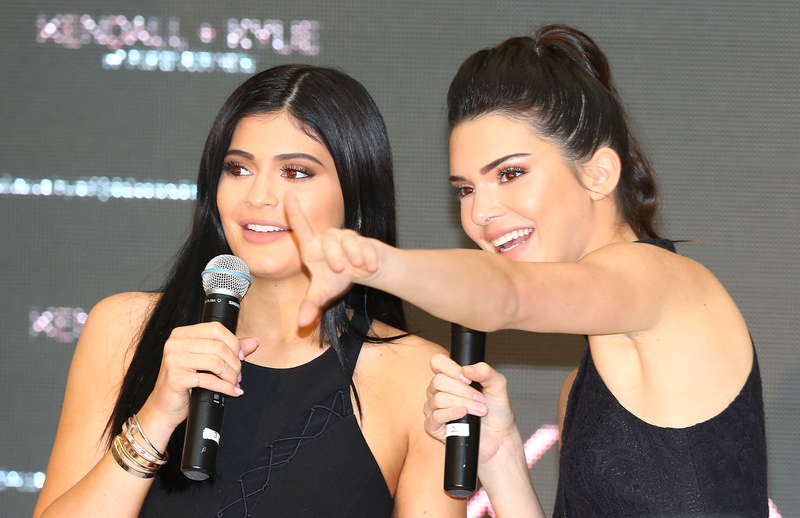 Although they may have their fair share of bickering, Kendall and Kylie Jenner have a close bond. These sisters grew up in front of the whole world on national television, so they've been through a lot together. Sure, their fights may get airtime on Keeping Up With The Kardashians , but beyond that, they seem to have a tight relationship. After all, they not only started multiple clothing lines together, but they also wrote a book. On Thursday, Kylie uploaded a video to Instagram, showing just how close they are. In the video, Kylie feeds Kendall bacon as she lays on the couch getting her makeup done. She even dubs herself the "the bacon distributor." Talk about sibling goals! Admittedly, I'm not a huge fan of bacon, but I would be down for one of my sisters to bring me spoonfuls of ice cream when I'm too busy (or you know, lazy) to do so myself. Sure, it may seem like an unnecessary luxury, but really, it can just double as an example of Kendall and Kylie having one another's backs. That's what sisters are there for, right? Here's a round-up of all the times that Kendall and Kylie were the ultimate set of sisters. Siblings everywhere can learn from their ways. Check out the ridiculous-slash-hilarious clip above. Of course, it's a bit absurd that Kendall isn't getting up to eat, but when you have a sister willing to feed you, why bother? I also love that she doesn't even open her eyes. She just smells the bacon and knows what to do. When Kanye West and Kim Kardashian appeared on the cover of Vogue, Kendall and Kylie got in on the fun by photoshopping their own faces on the magazine. The fact that they can be so goofy together is great, especially when the other siblings get involved too. Having a sister can mean having a built-in dance party. Just look at those moves! You'd think they were the ones on Dancing With The Stars, not their brother Rob. Sometimes you just need your sister there to tell you what outfits look good. Or to serve as a partner-in-crime as you try on any and every outfit in the store. The caption on this Instagram says it all. Kylie writes, "I'll always be here for you my sister." An example of this when Kendall walked the Victoria's Secret runway and Kylie posted a congratulatory Instagram. They cheer each other on as they go after their dreams. As Kendall says in the caption, Kylie is totally a ninja. Not only is she holding Kendall, but she's also holding Ken's BFF Cara Delevingne. That requires some serious upper body strength. Whether their Kendall + Kylie clothing line or their YA book Rebels: City of Indra , these two successfully can go from sisters to business partners. Among all the things on the list, feeding each other bacon definitely wins! But of course, supporting one another's goals is super important too.